The vessel was en route from Lagos to Port Harcourt, when six armed pirates boarded it and took it under control. After they abandoned it, the remaining crew sailed the vessel to a safe port. 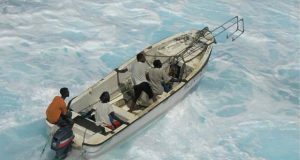 The abducted seafarers are reportedly still held by the pirates. “As the world and the shipping community are starting celebrations for the new year, 10 fellow seafarers remain in the hands of criminals. Our thoughts are with the seafarers, their families and their loved ones,” INTERCARGO said in a statement. As a result, it must be ensured that there is no relaxation or step back in the measures in place against piracy, the Association noted. Moreover, efforts and necessary resources fighting piracy must be upgraded primarily in the most vulnerable regions, such as West Africa, the Gulf of Aden, and South East Asian sea corridors.